The main gallery is home to several small exhibits on Kingfisher's history, as well as a new exhibit on the Land Run currently under construction. Historically, Texas and Kansas benefited economically from the Chisholm Trail. In Texas, large cattle owners, cowboys and suppliers enjoyed unprecedented profits from trailing cattle north through Indian Territory to Kansas railheads. In Kansas, once small or previously nonexistent prairie towns transformed into boom towns from holding, servicing and shipping millions of Texas cattle east by railroad. These Kansas cattle towns also profited from serving cowboys food, drink and entertainment after several long months trailing cattle. 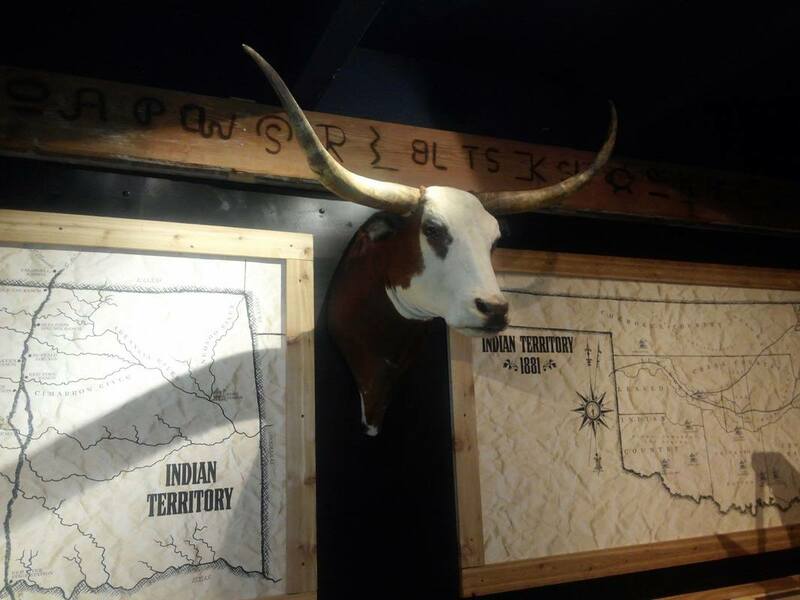 Within the broader historical context of the Chisholm Trail, the over 1,300 square foot exhibit will also emphasize the history of the Chisholm Trail as it relates to Indian Territory and what is now north-central Oklahoma. Indian Territory provided a realistic geographical bridge which Texas cowboys utilized by trailing millions of longhorns in the span of approximately 20 years. Prior to and during the Chisholm Trail years, Indian Territory was home to a fascinating blend of Native American cultures, frontiersmen, federal forts, federal army units, Indian agencies, supply camps, stage stations, and trading posts. Each played a direct and pivotal role during the Chisholm Trail years. 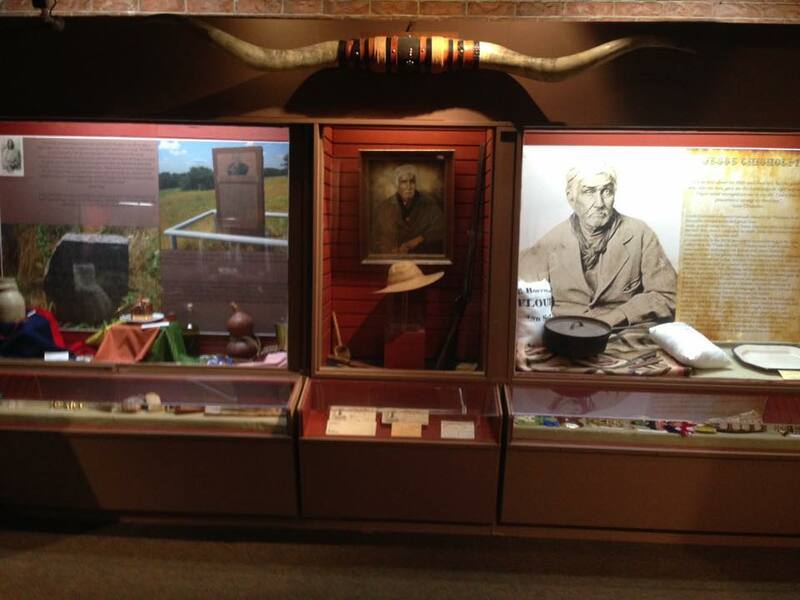 Within this context, the exhibit will feature, through artifacts, narrative, photographs, maps, video and audio, the history of the Chisholm Trail through the lens of Indian Territory and what is now north-central Oklahoma. Upon entering the exhibit, visitors will enjoy an 8x24 ft. mural of the Cimarron River, which was a major river forded by Texas cowboys just nine miles north of present day Kingfisher. Visitors will also learn about the obstacles cowboys faced on a daily basis. 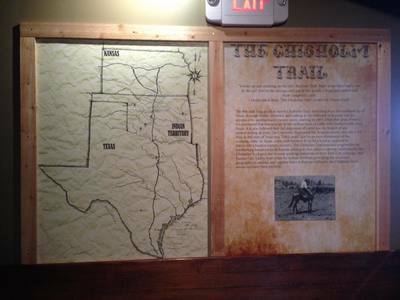 Additionally, large maps of the Chisholm Trail with detailed geographical and corresponding narrative will lead the visitor to a Chuck Wagon. A storm mural of the Cimarron river located directly behind the chuck wagon with corresponding sounds will leave the visitor with a better understanding of the environmental risks cowboys and their herds faced. From there, the visitor will learn about Jesse Chisholm and his importance to the greater history of the southwest prior to the Chisholm Trail years and why the Chisholm Trail was named in his honor. Additionally, after learning about the Kingfisher stage stop along the Chisholm Trail, visitors will notice a recreation of the Red Fork Ranch, which was located directly on the Chisholm Trail in present day Dover, Oklahoma. 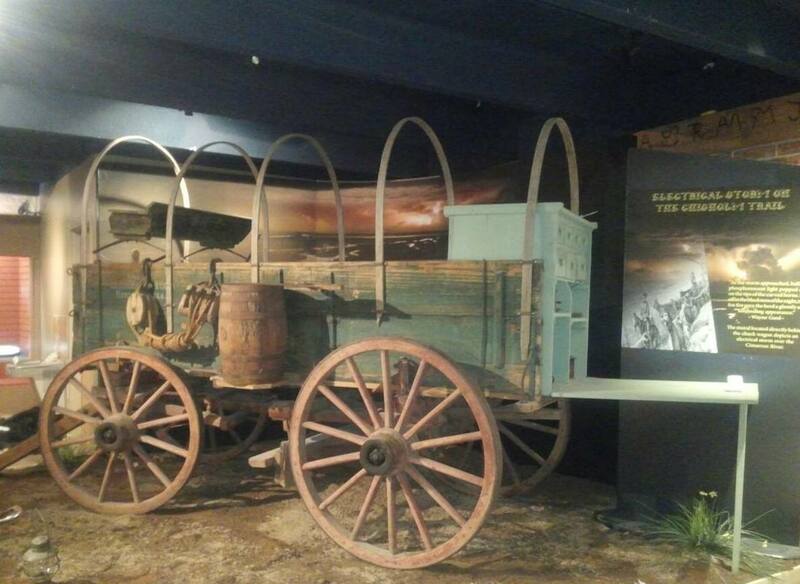 Visitors will learn that the Red Fork Ranch served as a major stop for cattle herds and cowboys after risking their lives by fording the Cimarron River just one mile south of the ranch. 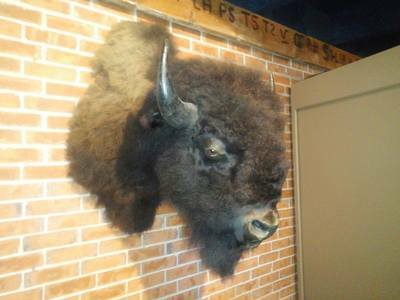 The ranch also served Native American tribes, such as the Cheyenne and Arapaho, and was licensed by the federal government through the Darlington Agency in present day El Reno. 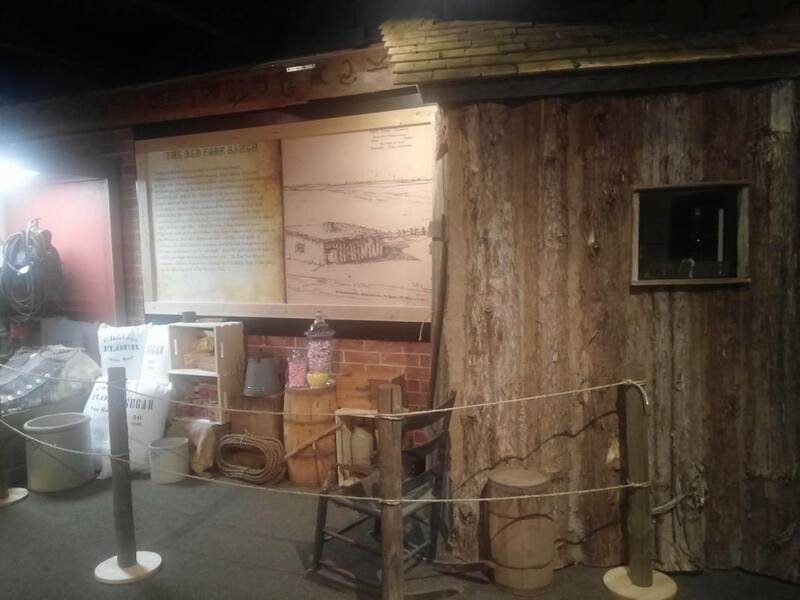 The ranch sold staple supplies, such as canned goods, tomatoes, coffee, tobacco, flour, sugar and salt meat, blankets, slickers, pickles and stick candies. Later, the ranch encompassed approximately 100,000 acres of grazing land for cattle and one of the largest corrals for the Texas cattle throughout the entire Chisholm Trail. The corral was a welcome respite for cowboys, as they could rest and enjoy their evening at the Red Fork without having to worry about stampedes. 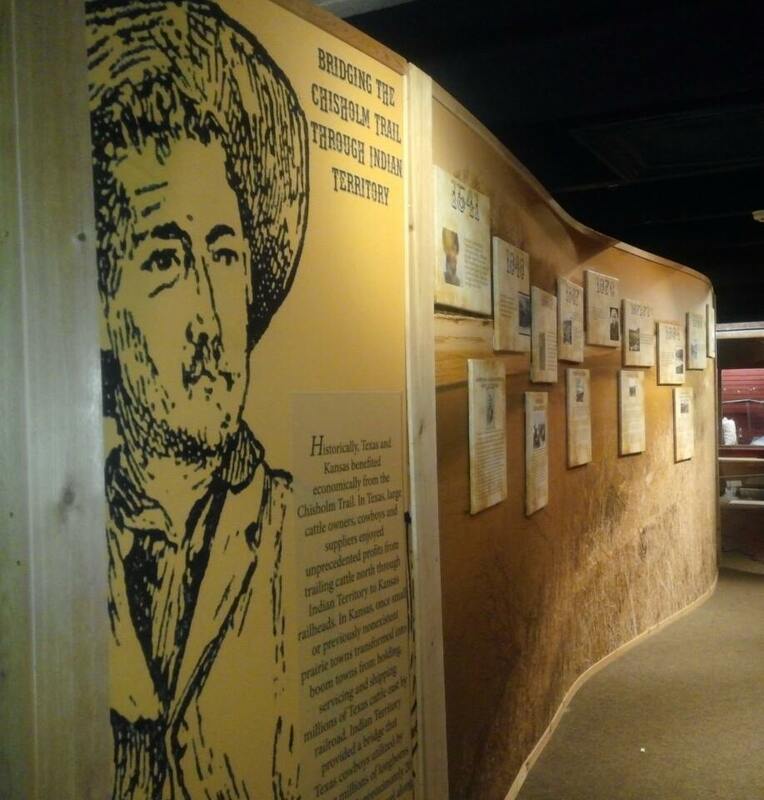 The ranch also witnessed several infamous outlaws, which will also be revealed in the exhibit. Furthermore, two large cases will exhibit original Cheyenne and Arapaho artifacts, with a large mural and narrative outlining their connection with the Chisholm Trail, the Red Fork Ranch, and the Darlington agency. Lastly, a large collection of mounted barbed wire will be the backdrop to its importance in fencing the Cattle Trail and playing a role in bringing an end to the Chisholm Trail era.